The African drums echoed through the great hall of the National Cathedral for the 12th annual King In Our City. The event honored the life of Dr. Martin Luther King Jr., a man who paved the way for many, including Chuck Brown -- the creator of go-go music and the host of this years event. “Events like this, in a beautiful place like this, I couldn’t see any other way to represent the man,” Brown said. More than 2,500 people packed the Cathedral, the place where Dr. King delivered his final Sunday sermon before he was killed. “I think the meaning behind today is what Martin Luther King did for people,” said audience member Toni Aniugo. 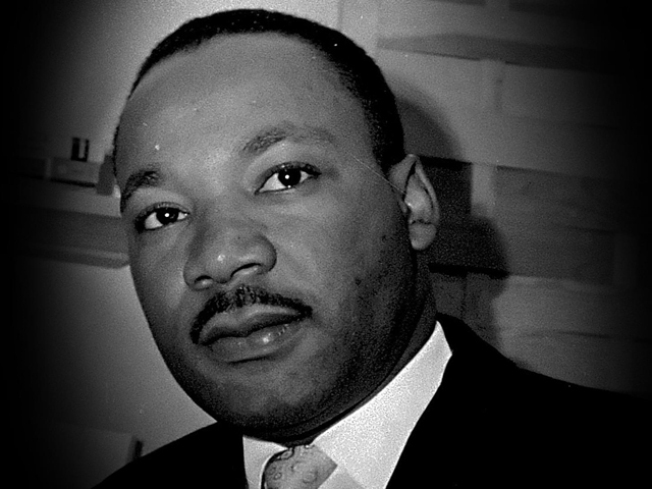 For D.C. Mayor Adrian Fenty this day was about more than just honoring Dr. King. It was also about continuing Dr. King’s message of giving back. That’s why the mayor pitched in to help feed the hungry at the Martin Luther King Jr. Memorial Library. “You don’t have school, a lot of people don’t have work, but just like all the other 365 days in the year, use the day as much as possible to help others,” Fenty said. Larry Johnson who lost his home in a house fire almost two years ago, appreciates the support from the community. “It’s good to see everybody out here in a peaceful mood getting back to basics. They’re helping us out with food and clothing and I’m really glad for that,” said Johnson. At the Civil War Memorial, Frank Smith, who said he knew Dr. King, said he believes the civil rights leader would be proud today to see how far this country has come. "Knowing that there is an African American President of the United States, Dr. King would be very proud of the fact that America finally got over it’s racial attitudes,” said Smith.